Travel to Burundi, one of Africa’s smallest countries, to a land of mountain peaks, plains, rainforest and farmland. But against this backdrop, Burundi has been blighted by years of conflict and civil war. Our printable activities below are the perfect way to test your knowledge. Burundi is a land-locked nation in Central Africa surrounded by Rwanda, Tanzania, and the Democratic Republic of the Congo. The capital is Bujumbura. It has a population of around 10 million people, known as Burundians, living in an area of about 28,000 square kilometres. The country is very crowded and a lack of natural resources has been a challenge to the economy. Burundi’s highest peak is Mount Heha, at 2,684 metres. Two important water sources are Lake Victoria and Lake Tanganyika. The country also boasts three national parks, which are home to a variety of animals such as elephants, hippopotamuses, crocodiles and lions. The official languages are Kirundi and French, although Swahili is spoken in some areas. Most people in Burundi are farmers, but deforestation, soil erosion and habitat loss are threatening the industry. More than half of the population make a living from growing coffee beans, but tea, sugar and cotton are also important exports. 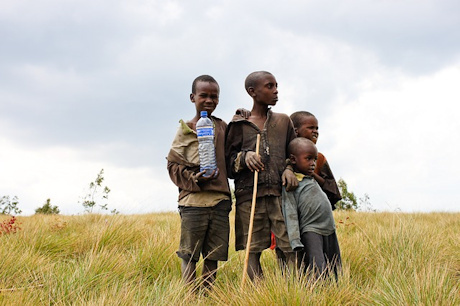 Between the 7th and 10th centuries, the Hutu people lived in the Burundi region. Later, in the 15th and 16th centuries, the Tutsi people joined them. Today, although most people are Hutus, the Tutsis hold most of the government and army positions. The Europeans arrived in 1856, but it took another 40 years for them to take control, when Germany began to rule the region known as Ruanda-Urundi. Belgium then took over during the First World War. Burundi became independent in 1962, but the country experienced many power struggles in the years that followed. In the 1990s, Burundi endured a terrible civil war fought between the Hutus and Tutsis. When the war ended in 2006, over 150,000 people had been killed. Although peace was restored, conflict returned in 2015 when President Nkurunziza tried to secure a third term in office, which many people thought was illegal. Burundi joined the Olympic Games in 1996. They won a gold medal in 1996 and a silver in 2016 – for athletics, the 5,000 metres and 800 metres respectively. Burundi is home to a famous man-eating crocodile called Gustave, who is said to have killed around 300 people on the banks of the Ruzizi River and the shores of Lake Tanganyika. At seven metres long, Gustave is thought to be the largest crocodile in Africa, and perhaps the world – and is greatly feared! Here's a collection of flag printables and colouring page for the African country of Burundi. Explore Burundi with the help of this collection of resources. More coming soon.